Sunny places for shady people…. 533 directors of UK companies have registered addresses in Monaco, controling between them 1,302 firms. 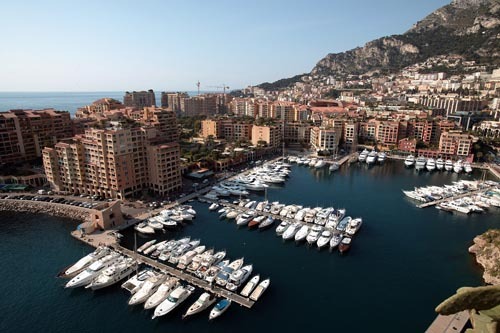 At least 11 people who live in Monaco as tax exiles, or benefit through family members, have been awared honours even after being vetted by HMRC. 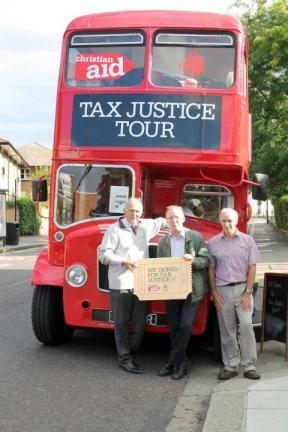 The message that the Tax Justice Bus is taking round the four corners of the British Isles is simple – but one that Lord Fink is clearly unwilling (or unable) to hear: Tax Dodging hurts the poor. Tax dodging deprives countries (our own and most others across the globe) of the revenue to fund essential public services, and to tackle poverty. Tax dodging undermines the rule of law. Tax dodging undermines democracy. Tax dodging undermines the Common Good. Tick for Tax Justice: And get your friends to as well! So, if you haven’t already done so – now is the time to get on board: If you can’t make it to the bus, add your voice on-line at www.church-poverty.org.uk/taxbus – and get your friends to as well.